Dawn Upshaw came to Sacramento for a recital at CSUS as part of the New Millennium concert series. Her accompanist was Gilbert Kalish. I last saw her in San Francisco in 2010. After a rather spectacular career, this lyric soprano seems more like the single mom she is. Die Zeit, sie ist ein sonderbar Ding. The theme of the recital was love. She performed two groups by female composers. The first was "On Loving," three songs by Sheila Silver. These songs can be found on YouTube. I believe these songs were composed in memory of Gilbert Kalish's wife. The second group by a female composer was four songs by Rebecca Clarke who mostly composed for her instrument, the viola. From this group I most enjoyed "Infant Joy." It also can be found on YouTube. The rest of the program was wide ranging and began with familiar songs by Franz Schubert. "Gretchen am Spinnrade" was my favorite. I do also love "Nur wer die Sehnsucht kennt." Mr Kalish played a movement from Charles Ives' Piano Sonata No.2, which was followed by three of Ives' songs. My favorite group of the concert was five songs by Béla Bartók. In school one is taught that Bartók was an ethnomusicologist. This means he went around his native Hungary with a recorder taping every song he heard. There are supposed to be hundreds of these, but this is the first time I have heard them on a concert. They were fascinating. The program ended with three songs by William Bolcom. There are also YouTube films of these. There was an encore: Ives' "Two little flowers", a song I love madly which I must surely have sung at one time or another. Curiously, Gilbert Kalish can be found accompanying many of these songs on YouTube. 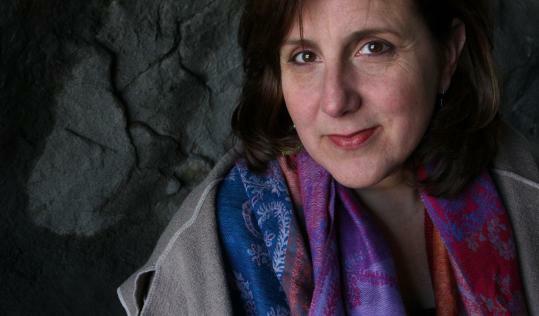 Highlights of the career of Dawn Upshaw as seen from this blog. DVD of L'Amour de Loin by Kaija Saariaho. This is the one you want. DVD of Handel's Theodora. This is the famous staging by Peter Sellars. DVD of John Adams El Niño. CDs of works by Oswaldo Golijov including Ayre and Oceana. A live performance of Ayre in Berkeley. This did not seem possible since so much of it is electronic. Her recording of Henryk Górecki's Symphony 3 "Sorrowful Songs" which has sold over a million copies.